Working for a company can often highlight how processes could be more efficient or practices improved, inspiring people to make the leap into self-employment and strike out on their own. Outset Cornwall offers practical advice and guidance to these individuals, and now with Start Up Loans available from Outset Finance, the financial support to turn their ideas into reality. After spending four years working in a local branch of a nationwide estate agency, Thomas Moyle saw an opportunity to do things differently and create a fresh approach to property selling and management. Keen to draw on his industry experience and utilise his partner Karly Turner’s hospitality background, Thomas decided to set up an estate agency of his own, and approached Outset Cornwall for support. Meeting an Outset Cornwall advisor and discussing their plans for financing their new venture, Thomas and Karly decided to apply for a Start Up Loan through Outset Finance, official delivery partner of the Government-backed Start Up Loans scheme and sister company to Outset Cornwall. 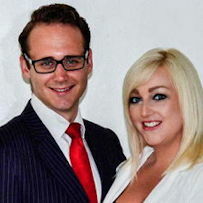 Having had their loan application approved, Thomas and Karly wasted no time in drawing down funds and implementing their plans, launching their first branch of Moyle Estates in Penzance in September 2014. Thomas and Karly now plan to grow their business year on year, opening branches in Redruth, Camborne and Truro and developing a successful legacy they can pass on to their sons in the future.